There are basically two types of antennas for the indoor mobile coverage networks. 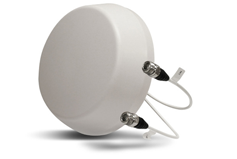 An omni-directional antenna radiates around itself. It is for use in large spaces and to be installed in the ceiling, usually in the middle of a room. 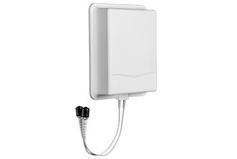 A directional antenna, also called a panel antenna, radiates to a certain direction only and is to be installed on the wall.